It was a honor to win the 18 Under 18 Junior Achievement Award, the award is given to school students under 18 who demonstrate exceptional leadership, entrepreneurial spirit, and dedication to the community. More about the winners here. 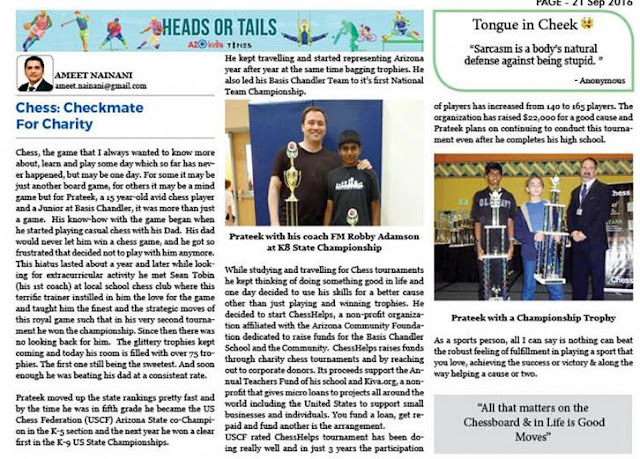 I am grateful for the opportunity to write a small report on the 4th Annual ChessHelps tournament for US Chess. 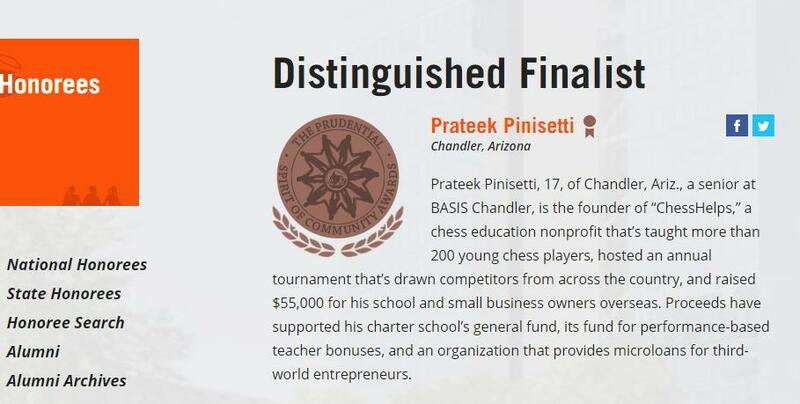 Even though the event had a mistake (saying that I attend Chandler High, I actually attend BASIS Chandler), the newspaper got the relevant details of the 4th Annual ChessHelps tournament right. A few people who had not played chess in years showed up to support the cause after seeing this snippet. I appreciate The Arizona Republic posting this online and in print. One morning I woke up to see a google notification that I was in the news and a link to this article. Thanks AZIndia for doing a short write up about ChessHelps and its upcoming Sep 9th, 2017 tournament. Here is the complete article. 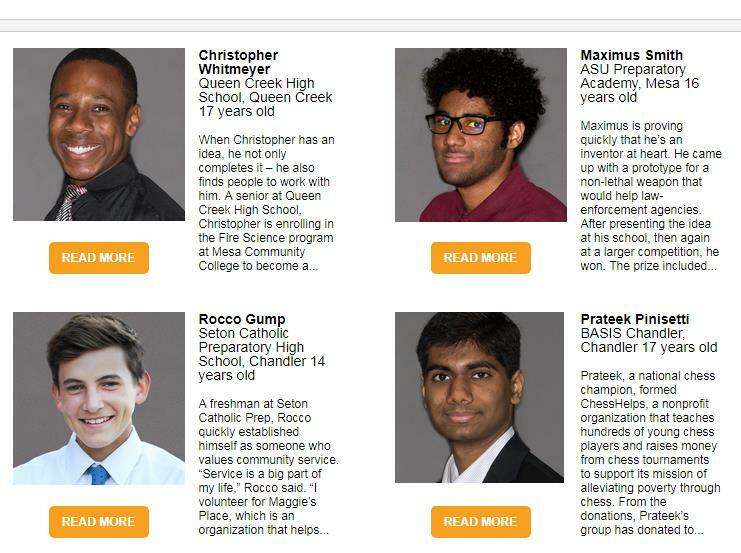 I was really honored to be featured in this series by US Chess on June 20th, 2017. The the USCF Super Nationals will forever remain special this year for two reasons, one it will be my last super nationals as I am going to graduate high school next year and two I was announced as one of the Chess Scholar award winner at this event. 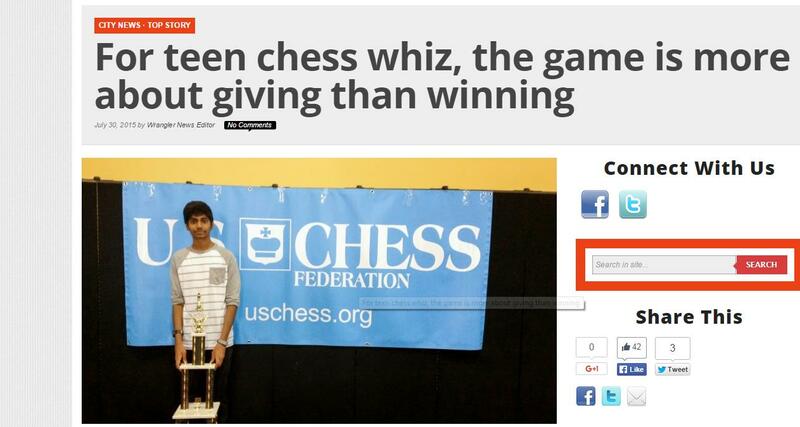 Here is article on that on the USCF website and US Chess Facebook page. What an honor to be nominated, although I did not win it, it was a wonderful experience to attend the breakfast hosted by the City. 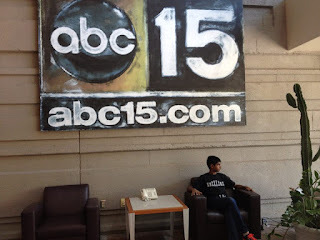 I got to meet the the Vice Mayor and other officials that make the City of Chandler a wonderful place to be. Here are some of the other nominees and a short bio on each of them https://www.chandleraz.gov/newsrelease.aspx?N_UID=3522.